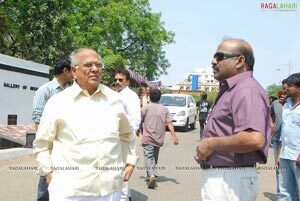 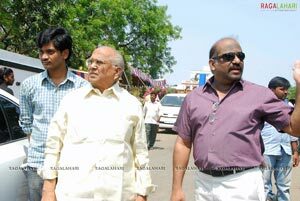 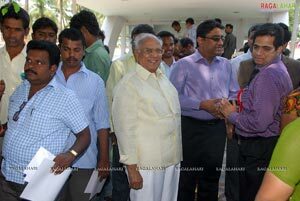 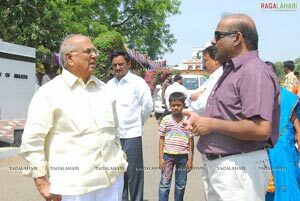 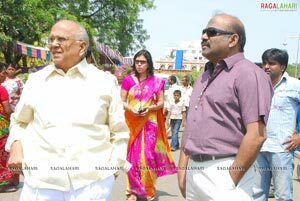 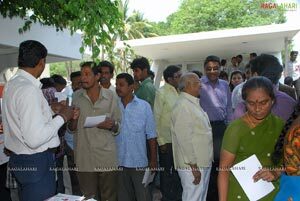 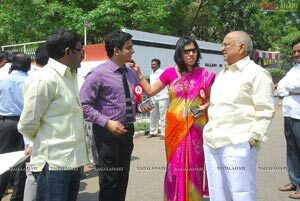 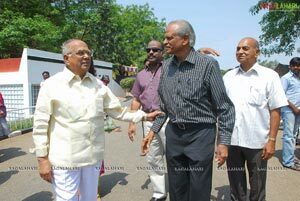 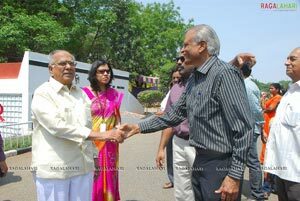 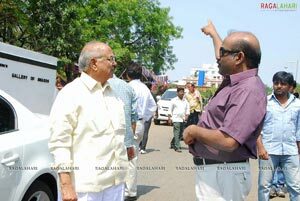 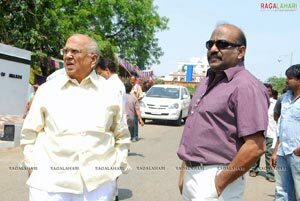 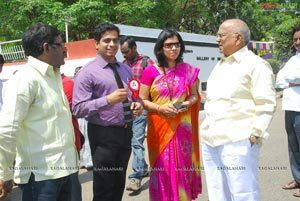 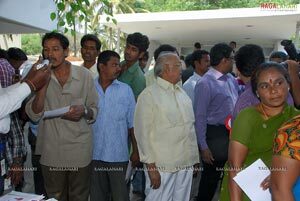 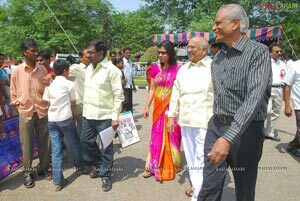 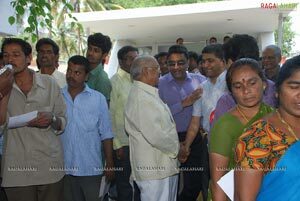 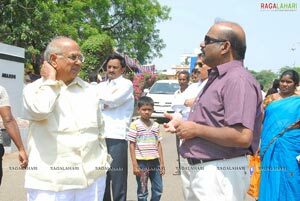 Hyderabad April 10, 2011: Health camp organized at Annapurna studios for the benefit of the employees of AP film industry employee's federation and their family members. 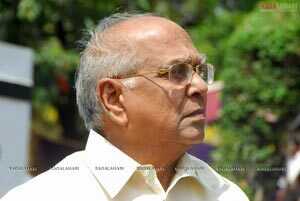 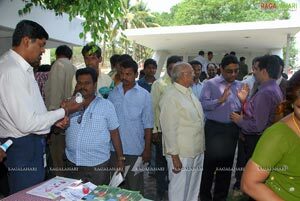 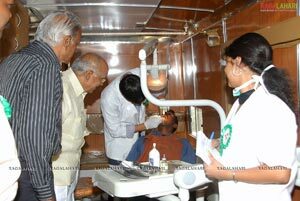 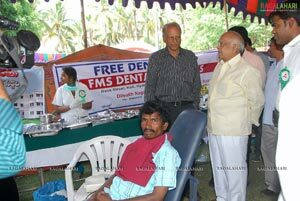 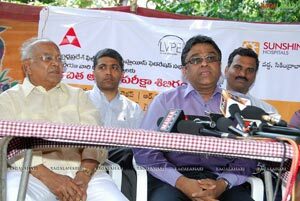 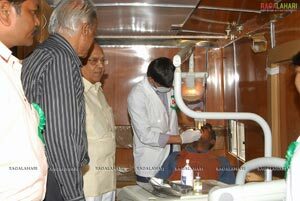 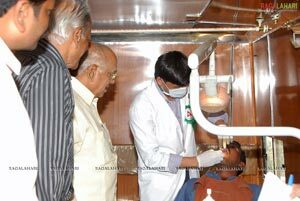 As part of the Corporate Social Responsibility, Annapurna studio's Akkineni International Foundation in association with Sunshine Hospitals, Sai Oral Health foundation and LV Prasad Eye institute conducted free medical and health camp for the benefit of Employees who are working for AP film industry employee's federation and their family members. 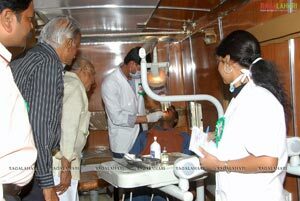 During the camp the employees and their family members were screened for the following, General Health checkup, Cardiac Health check, Pulmonology, Gynecology, Orthopedics, Eye and Dental. 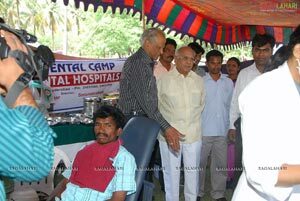 The super specialists from Sunshine Hospitals were present during the health camp who extended their services to the patients who require the necessary consultations. 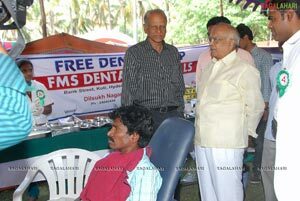 Speaking on the occasion Dr.Guravareddy MD and CEO of sunshine hospitals said "we are glad to extend health checkup camp services to the federation employees who are with the lower income levels and often ignore the issues pertaining to health due to financial constraints we are issuing the privilege cards which entitles the privileges to the employees and their families at Sunshine Hospitals, we are also glad that Akkineni International foundation has came forward to issue the Safe Card which insures the employee and their families for free Hospitalization of 1 Lakh rupees in sunshine Hospitals in case of Accidents. 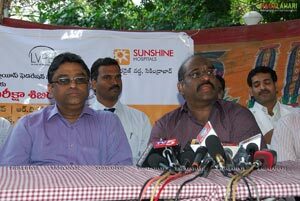 We are glad to announce that Sunshine Hospitals will always be at fore front in this kind of activities as part of corporate social responsibility for the better health of society.